First up this week is Sugar, Sugar The Christmas Special from BonteGames, a game in which festive sugar, the tastiest kind, falls from the sky unrelentingly as you try to catch it in a cup with only your own awesome drawing skills to help you. It’s a sweet (hoho!) little game that should keep you occupied, and rot your teeth, during a coffee break or two. Another good new mini puzzler is Kikka, from Japan, in which you reconstruct �broken chrysanthemums (yes – finally – that chrysanthemum based game you’ve been searching high and low for) by manipulating your mouse in new and interesting ways. It might sound improbable, and not in the least entertaining, but once you’ve started you find yourself curiously sucked into the whole thing until you can no longer imagine leading a chrysanthemum-free life again. 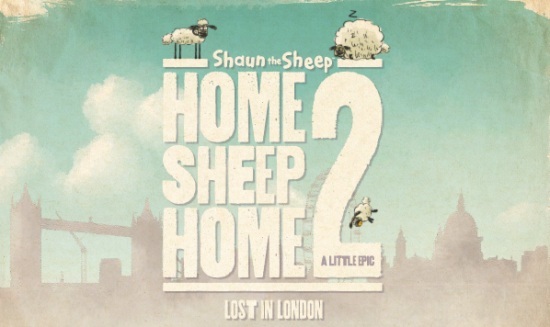 And finally this week test your�team-working abilities�in Home Sheep Home 2, �a sheepish�platform style-ish�adventure, with an Aardman connection, in which you have to use the best�attributes of a trio of oh-so-cute sheep, on an adventure through the streets of London. Baa! I’ll bid you adieu for now, and�return�next week with more free online games. In the�meantime if you feel the need for a�daily�dose of gaming nonsense, pop over for a visit to�lazylaces. Chin chin! You can't go wrong with Shaun the Sheep. Luuuurve him!